All of these flavors combine into something I can confidently describe as “intriguing.” This is not a typical Chardonnay by any stretch of the imagination, and indeed, you can spend a lot of time pulling aromas and flavors out of it, a sign of the wine’s complexity. This is definitely a wine where the terroir comes through loud and clear, with only 3 months of used French oak aging to interfere with the natural character of the vineyards as expressed by the Chardonnay. 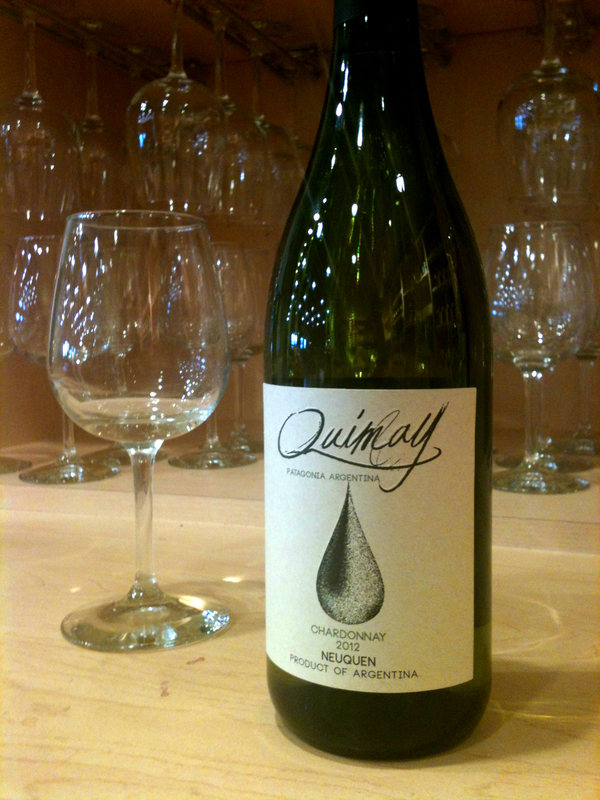 The wine underwent a fairly serious regimen of malolactic fermentation (70% of the juice, to be specific) which is the most obvious element of winemaker meddling, but it gives the wine less of a heavy butter flavor and more of a permeating oiliness, bestowing it with an almost Viognier-like quality. All in all, I would say this wine falls under the category of “advanced Chardonnay”–dry, complex, and unexpected, something to discuss with friends over dinner or to slot into a private tasting to shake things up and make your tasters look up in surprise. It’s the kind of Chardonnay people who boastfully hate Chardonnay tend to enjoy, and it’s a great example of how a wine with almost no oak can still be buttery. 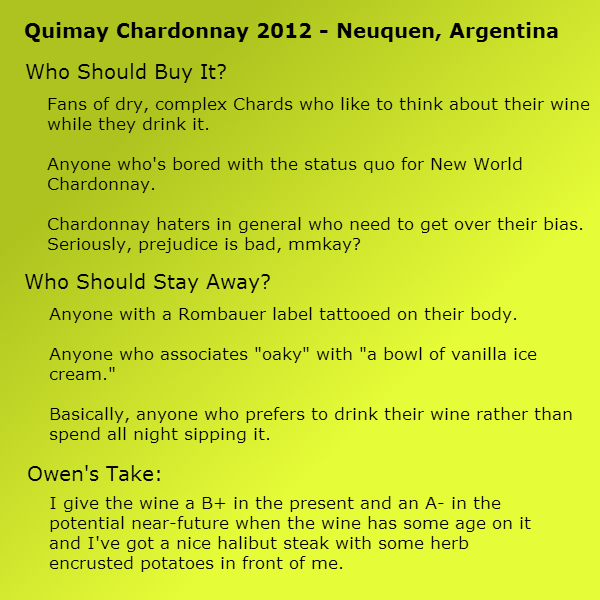 ← Buttery Chards: Who the Hell Are You Calling Oaky, Pal? Sounds absolutely heavenly tasting! Thanks, too, for visiting/following my blog.